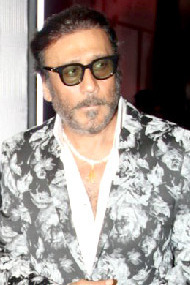 ^ "Jackie Shroff debuts in Marathi cinema with Renuka Shahane's Rita - Bollywood Hungama". ^ "Jackie Shroff only saving grace in 'Zamana' (Kannada Movie Review)". ^ DNA India — Check out these Bond girls! ^ "Jackie Shroff in 'Kochadaiyaan'"
^ Manoj bajpay completes sarkar-3 shooting in less than the scheduled time!